At most reasonable rates, we are providing 2D Mechanical Drafting Service to our patrons. We are one of the leading companies that offer an exquisite range of 2D Mechanical Drafting services. The use of innovative methodologies and latest technologies are being done while offering these services to our precious clients. These services are rendered on time as per the mutual consent. We are offering these services at industry leading rates. "We offer cost & Time effective working solutions Such as paper to CAD and P & ID drawing services dedicated to quality, Reliable and scabale." 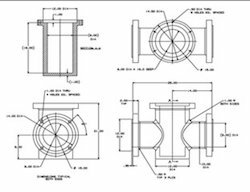 D-CAD provides a range of mechanical Drafting, Designing and Manufacturing services to Mechanical Engineering Designers, Mechanical Products Manufacturers, Original Equipment Manufacturers, and Mechanical Contractors globally to meet their custom requirements. 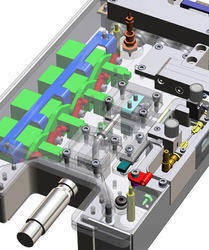 D-CAD is a one-stop-shop for all of your CAD Conversion needs.